Even though Nebraska joined the Big Ten in 2011, Purdue fans can be excused for not remembering that Lincoln, Nebraska is located in the Big Ten footprint. It's 2013, yet tonight marks the FIRST time that a Purdue football or men's basketball team has made the trek to Lincoln to play a Big Ten game. Purdue is the last Big Ten school to visit Lincoln in the two big revenue sports and is only ahead of Northwestern when it comes to appearing at the Devaney Center. Regardless of whether it seems like a Big Ten game or not, this is almost a must-win if Purdue wants to make a last ditch effort at the Tourney. So crack open a beer...it's going to be a late one tonight! Nebraska hasn't beat anyone in the RPI top-100 and will most likely battle Penn State for last place in the Big Ten. The Devaney Center is not a basketball mecca by any means, and remember that Purdue does have a true road win (against Clemson) this season. Also, while Nebraska typically starts 6-10 Brandon Ubel and 6-11, 314 pound GIANT Andre Almeida, Purdue is one of the few teams in the country that can match up height-wise. If the Boilers get either one in foul trouble and Ray Gallegos continues to shoot under 30% on his 8.1 3-pt attempts per game, Purdue should win in an ugly one. Yes, Gallegos takes 8.1 3-pointers per game and only makes 29.9% of them. 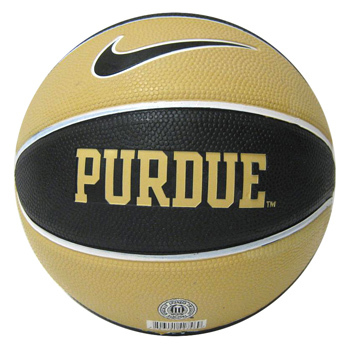 If they start falling tonight, Purdue's in for a real battle. Almeida doesn't have a lot of skill on the offensive end, but the combination of him and Ubel could force Hammons into foul trouble. On top of this, I haven't even mentioned the Cornhuskers' best player in Dylan Talley. Nebraska may not have any big wins, but their RPI is surprisingly good at 62. This is a sneaky team that has the capability of pulling this one out at home. This doesn't have anything to do with the game, but if you haven't read it yet, you absolutely must read the Deadspin story about Manti Te'o and how his girlfriend who died of Leukemia never actually existed. It was a big hoax and Te'o had to have been in on it (Right??? I mean, he couldn't have ever met her!). Funny how word of her "dying" happened right around the time the Heisman talk started to heat up. What a huge, lying, stinking piece of crap. From Notre Dame. Man I hate those guys. Our Picks - We like to think we're better than Vegas. So throughout the season, we'll be "betting" a whole dollar amount versus the spread between $1 and $32, but we can't repeat the same value twice. The spread for this game is Purdue by 1.5. "What a huge, lying, stinking piece of crap. From Notre Dame. Man I hate those guys." This wins the award for "best consecutive three sentences ever posted on this blog"
Haha, glad you liked it - at least something took the focus off me blowing the preview by completely whiffing on Brandon Ubel's fractured elbow!